Hi, Ashish. I want to know what was your profile while you entered in Microsoft because I have never heard so much exciting work in Microsoft before. Nothing fancy. I had a B.Tech in CSE. its a very motivational story sir.i need your help to succed in my career because iam also having a stress of paying loan.so plzzzzz help me in succeding. 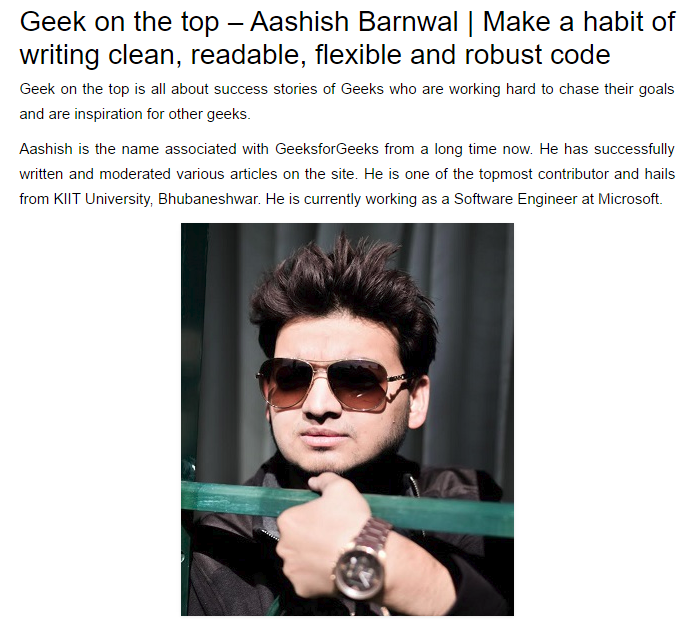 This was an exciting and motivating read, Aashish! Thanks for sharing the link with me. It was worth the time. May you succeed more in your future endeavours. Thanks a lot Radhika for your kind words. Thanks sir for putting this wonderful article. Sir how difficult is for those aren’t from CSE background, but studying CS from own? Not that difficult. You have to prepare on your own. As you must have observed, Venki is a Electronics graduate. Thank you Aashish sir for sharing your journey to Microsoft. It was a worth reading it, i’m inspired by you, I need your guidance as from this year i’m gonna start my college life interested in coding hope will do btech from cs.